Yesterday a Client and I had a discussion on how they could work Arabesque tiles into their interior, without it being too overwhelming or bold. 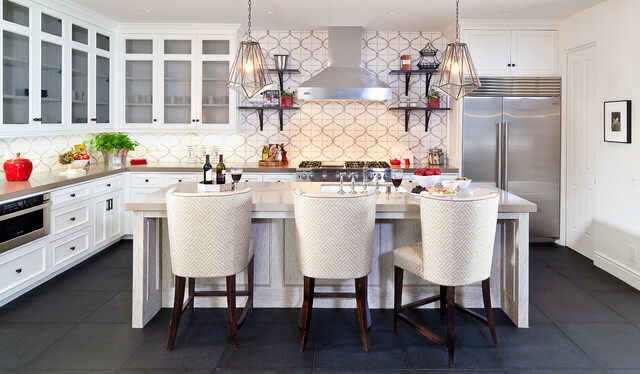 They love the pattern and dimension that the arabesque tile can add to a space, however were slightly worried that this traditional style tile may clash with their relatively suburban interior and kitchen design. I have always thought that the best way to illustrate to a client just how fantastic an idea could be, is to give them a visual – in this case, through a collection of inspirational images that represent exactly how the use of these tiles could work in their home. So I thought I would put together a collection of images that could look fantastic when used in a residential interior design scheme. The great thing about this selection is their versatility! 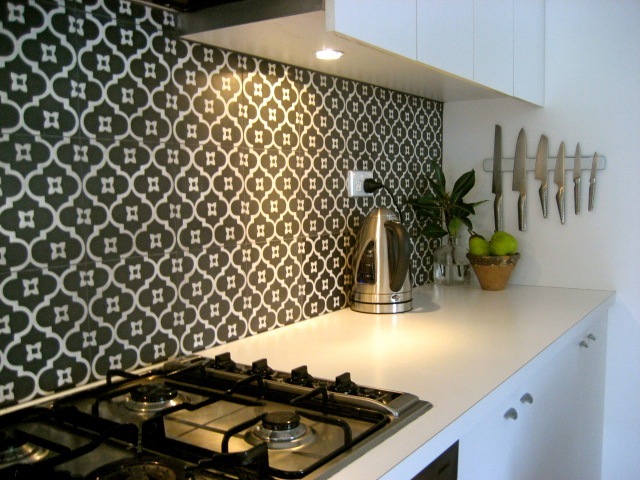 Typically Arabesque and Moroccan inspired tiles project a bold use of colour and intricate pattern, but for all those neutral palette lovers, their is a subtle colour and pattern range available in Australia that can be used as a point of difference as your splashback or counter top in your contemporary/ traditional kitchen or bathroom. 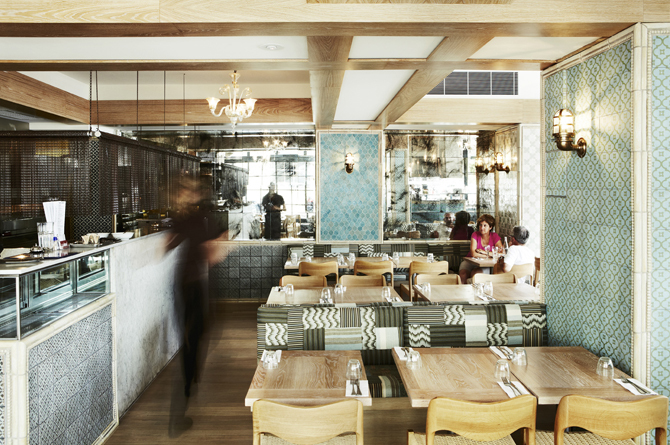 You occasionally see the use of these tiles in restaurants and cafe’s around Sydney, and in my experience in Bondi, the designers of La Macelleria & Pompeii’s, have created an overwhelming ambiance and visual eye candy that will leave the viewer in awe. 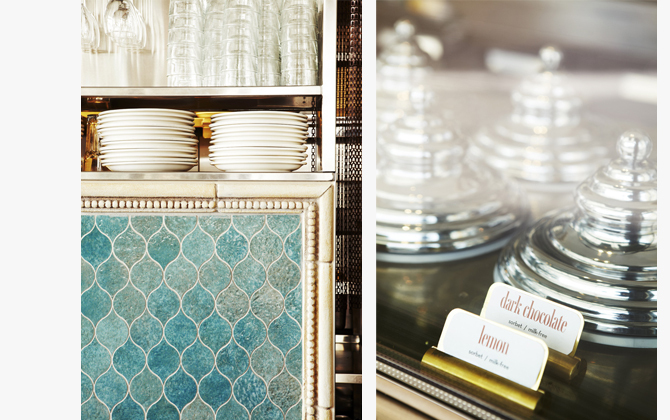 A cleaver mix of chevron layed, mosaic and arabesque tiles in gloss, matte and a little metallic. 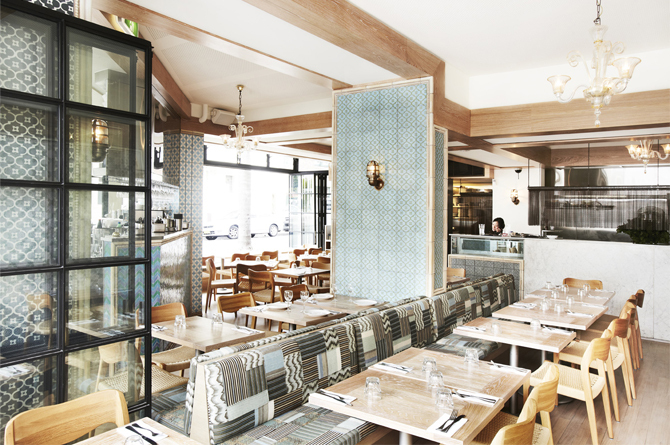 3 Responses to "how to work Arabesque & Moroccan tiles into your home interior"
Erica, would white arabasque tiles with a light light grey grout work in a completely modern kitchen (white polyurethane, pure white benchtops)?? We have gone for a minimalist look with sleek lines but just wondering if it’s too white. 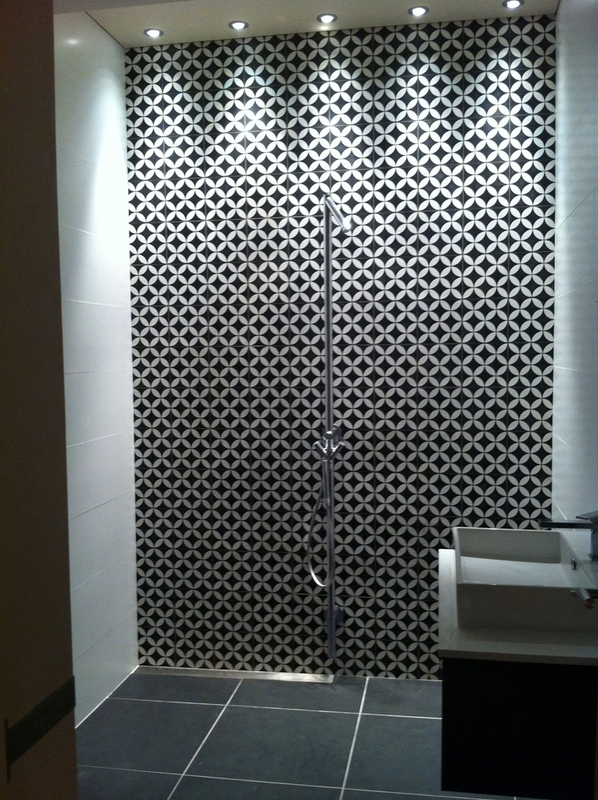 So thinking these arabasque tiles may make the room pop but worried it will look out of place? 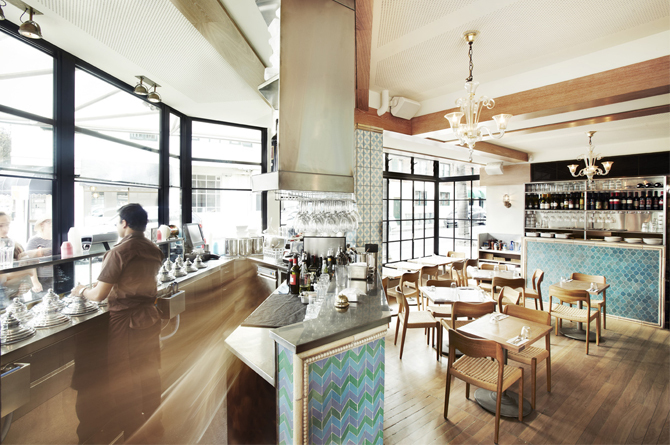 I really like the amalgam of styles in interior space’s – old with new, traditional and modern, antique and minimalist etc. 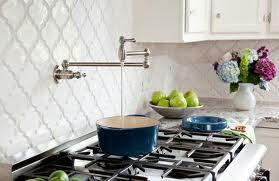 I think that white arabesque tiles with a light grey grout would look fantastic with your all white kitchen. To make the contrast of the two styles really work I recommend you introduce accessories which will complement both the modern/ streamlined aspect of the kitchen and the traditional style of the tiles. For example you could introduce jars or urns to store your utensils in, herbs in rattan baskets or wooden chopping boards. 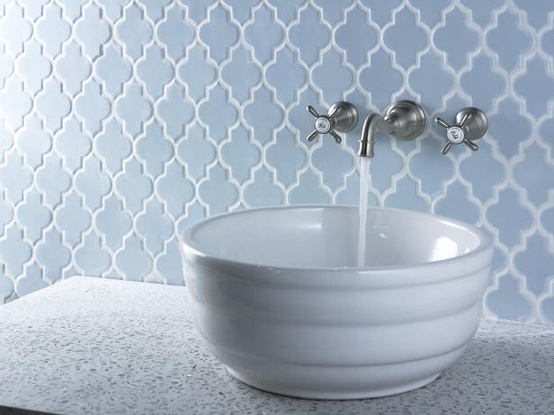 Have you thought about using a coloured arabesque tile with white grout? If you are looking for inspiration as to what colour tile you should select, look to accessories you are already using within that space and pull a colour from this, for example a cushion or piece of artwork. 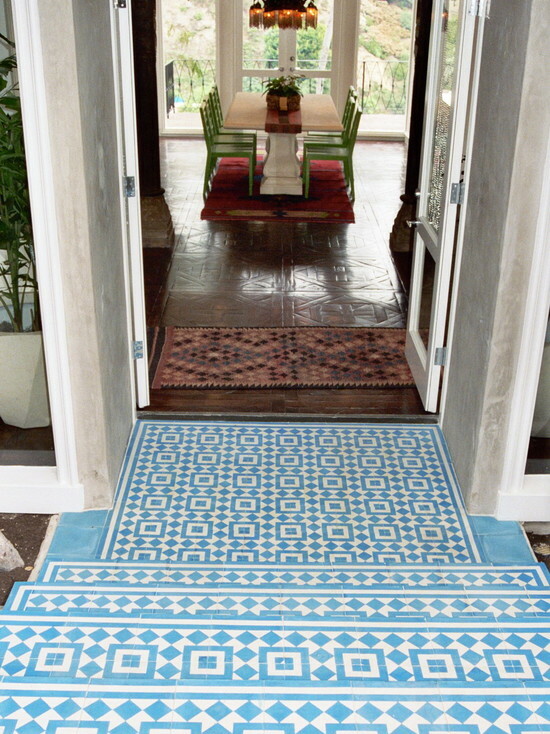 Alternatively, you could look at encaustic tiles to add a little interest. I’ve ordered a light grey arabesque tile (LAN242) for the splash back in my kitchen (yet to be installed) with ice snow caesarstone bench top and vivid white satin cabinets. 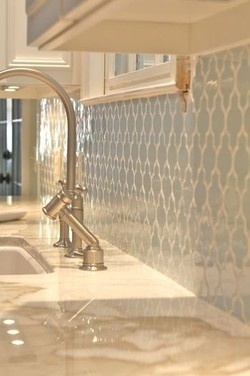 I’m considering a few shades darker than the tile to add a bit of drama, but not sure if it will be out of place? I’ve been looking online for hours and can’t find a picture similar to what I am visualising so I’m not sure if the reason there is a lack of images because it just doesn’t work! If I did this, I would choose darker lamp shades and darker stools for the island bench to continue the flow of the darker accent. On that – do you have the supplier details for the lampshades?